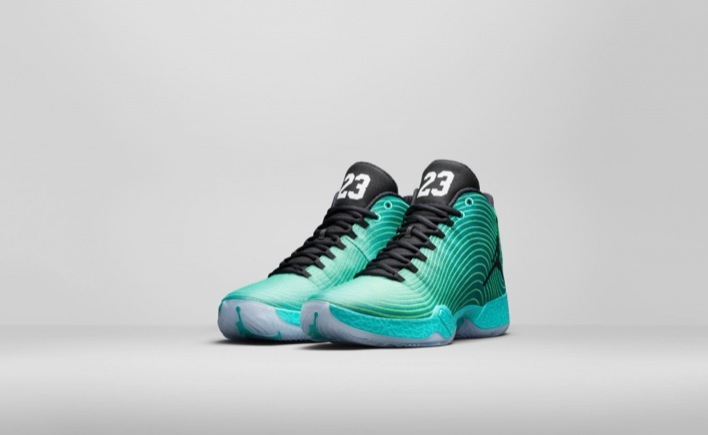 The Jordan XX9 was introduced in 2014 and has been well received on the court. The model features a reimagined Flight Plate with a tendril that helps provide a smoother ride when transitioning from heel to toe. The upper of the shoe used a material called Performance Weave which recently made its way to the Nike TW’15. 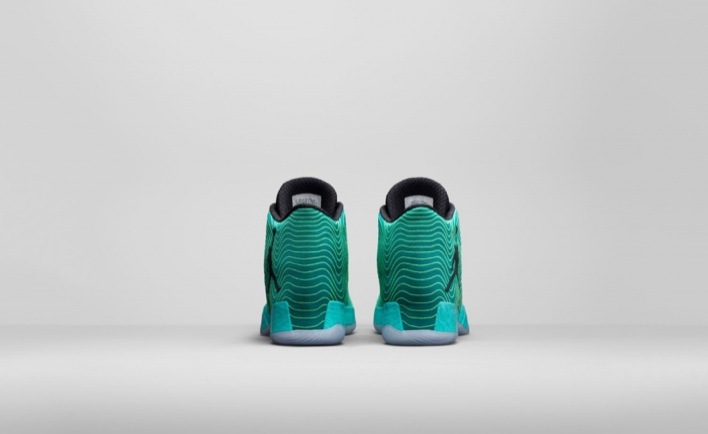 The upper is also capable of reproducing photo rendering down to the pixels which appeared on the Jordan XX9 Photo Reel. 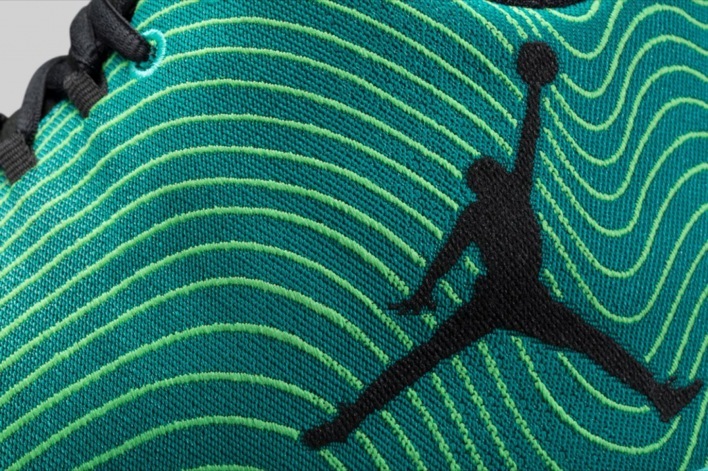 For the latest colorway of the signature sneaker, Jordan Brand chose Sonic Green. 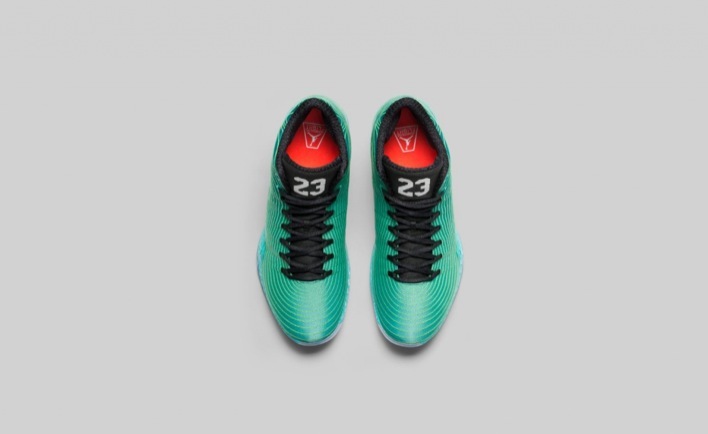 Sitting atop a Teal midsole, the Sonic Green upper is incorporated with grid lines that encircle the entire design. 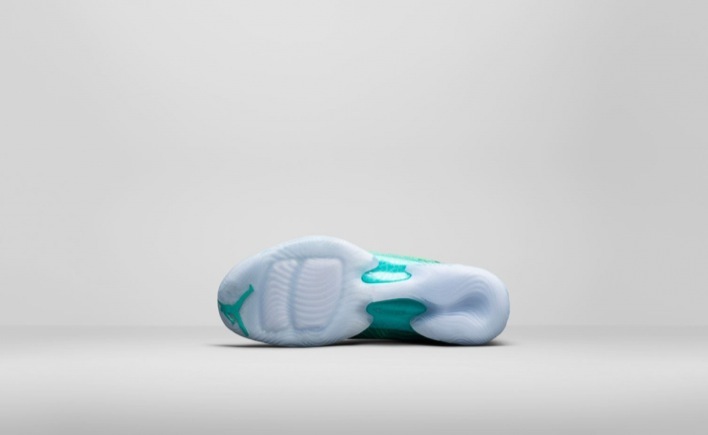 For the outsole, a translucent rubber is used to help the Teal highlights stand out. 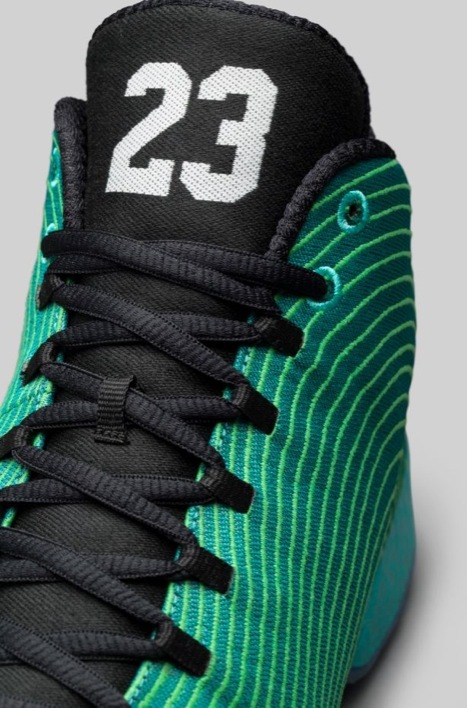 The Jordan XX9 Sonic Green will be available at select retailers starting on March 21 for $225.